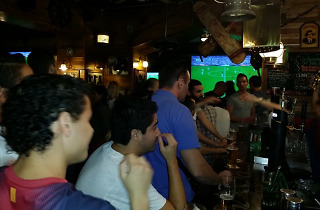 If you’re hoping to watch the football, one of your friends wants to see the basketball game and another is dying to catch the rugby match, The Wild Rover is your place. With two projector screens and eight plasma TVs, this spacious bar can show up to five contests at the same time. 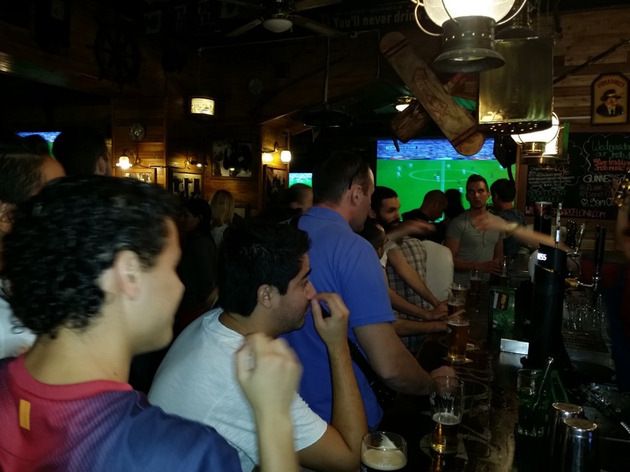 You can kick back on one of their comfy leather sofas, a cold brew in hand, and cheer on your favourite team among the international crowd.